The most realistic hunting experience available, Bass Pro Shops: The Hunt - Trophy Showdown brings you to an amazing variety of North American landscapes. 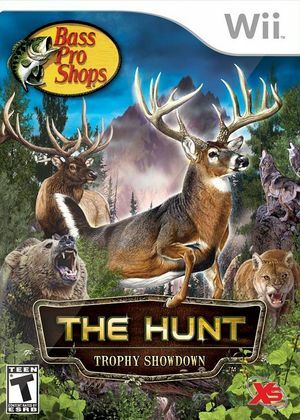 Featuring both big and small game, aggressive predators, and customizable weapons, you'll lock horns with some of the world's best hunters as you compete to become a member of the exclusive Bass Pro Shops championship hunting team. The graph below charts the compatibility with Bass Pro Shops: The Hunt - Trophy Showdown since Dolphin's 2.0 release, listing revisions only where a compatibility change occurred. This page was last edited on 27 September 2018, at 20:12.